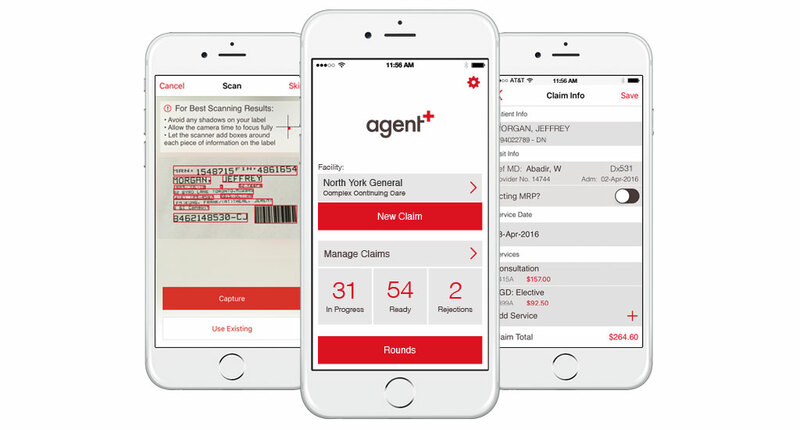 Motive Health, the company with a vision to bring privacy compliant mobile innovation into the healthcare industry, launches Agent+, its first solution targeting the $11B medical billing market in Ontario. Agent+ is a medical billing app that helps mobile doctors work faster, smarter and safer than ever before. The app was created as a solution to a problem that Motive’s founders faced daily in their medical practice: the frustrating and time-consuming administrative work required to process and collect their revenue. After meeting Hamid Arabzadeh (Co-founder of Spoke Technologies) at a panel on Healthcare, the companies decided to pool their expertise to create Agent+, an easy and secure mobile billing solution for the 25,000 doctors in Ontario, with a plan to expand across Canada. “We wanted to reduce the piles of tedious paperwork required to process claims. We knew we were at a critical intersection of tech and healthcare where mobile doctors could take control of their business and personal time with a mobile billing solution. Agent+ now gives doctors the freedom to bill from anywhere, anytime, between patients, even in hospital cellular dead zones.”- says CEO Marc Holtenhoff. Motive Health named IDENTOS to provide the mobile security infrastructure and data encryption technologies needed to carry out the solution. The resulting mobile app enables the secure transmission of sensitive data between physicians and the Ministry of Health, so they can bill at the point of care, saving physicians time so they can spend more time with patients. By embracing a solution that delivers security and trust in data without impacting business agility, Motive Health is implementing an advanced data security solution to ensure data protection and privacy as they digitally transform the medical billing landscape. IDENTOS is a growing tech company, located in Ontario, recognized for its success in the region, offering an innovative key management technology specifically optimized for mobile application integrations to protect data and transactions on mobile devices. The IDENTOS tech stack integrates in a few hours with full service modules for applications including tamper protection, data encryption, digital identity, Fast Identity Online (FIDO) authentication and end-to-end secure chat, making them ideal for the cyber attack-prone healthcare sector. Read about how IDENTOS helped secure Agent+ in this case study. Motive Health is a healthcare technology company, on a mission to simplify the lives of clinicians through innovative and secure medical billing technology, so they can better serve the people in our community.